At PastaAndVino.com we understand the challenge of finding foods that meet your high standards of quality. We understand because we have three children and face the same challenges. How many times did you buy a product that is labeled “sugar free” only to find out later the sugar was replaced with a lengthy assortment of unreadable chemistry concoctions? So, we are committing ourselves to helping you choose real foods and beverages that we personally examine at the source and endorse products that meet our criteria as Platinum Level, Gold Level, or Green Level. Soon when you shop on PastaAndVino.com and see one of the symbols shown above, you can have confidence that it has been vetted as natural and has met a minimum criteria level as described later in this article. What kind of foods do we want for our family? This is the basic question that drives our desire to hand-pick and share healthy and real foods with your family. Are chemical pesticides used by the producer? If not, what methods are used for rodent/disease prevention? Are natural or chemical fertilizers used? How is purity and authenticity verified (especially as it relates to olive oil)? For ingredients not internally grown, what supply chain benchmarks are used by the producer to guarantee safety and authenticity? Is the product organic (as described by the EU or USDA)? Or NonGMO? Or gluten-free? Are we supporting a family-owned and operated farm or business? ALL the listed ingredients are natural, readable and real food. No artificial sweeteners or high fructose corn syrup added. Natural sweeteners OK.
No known harmful chemicals used for pesticides. No known harmful chemical fertilizers used. The product has some elements of environmental sustainability. Product supports small or private, family-owned farm or business. ALL the listed ingredients are natural, readable and must be real food. No added sweeteners; only sweet coming from real food ingredients (such as fruit). Only natural fertilizer (farm or family’s own cows, etc). The product is organic as described by the EU or USDA (but may or may not be certified) or may either be gluten-free and/or non-GMO. The producer is meticulous and selective of the supply chain for the ingredients not internally grown. Packaging is made up of at least 50% recycled material or at least 50% of the packaging is recyclable. Farming and/or production practices are optimized and clearly indicative of long-term environmental sustainability (i.e. new high-efficiency equipment, renewable resources, etc). The product or producer has at least 1 certification related to the product or the process by which the product is made. Olive oil would need documented evidence of authenticity. Product supports a small or private, family-owned farm or business. The product is certified organic as described by either the EU or USDA, certified gluten-free, and/or certified Non-GMO. The producer has documentation showing supply chain supervision for the ingredients not internally grown. The product or producer has at least 2 certifications related to the product or the process by which the product is made. Olive oil would need documented evidence of authenticity. The producer was open to discussion and sharing documentation to support the findings. Will Pasta and Vino only sell products that conform to a minimum Green level? Not necessarily. The purpose of our Real Food Category Levels is to guide our customers into choosing foods and beverages they can trust without reservation. Every once in while you can, and should, indulge without guilt. 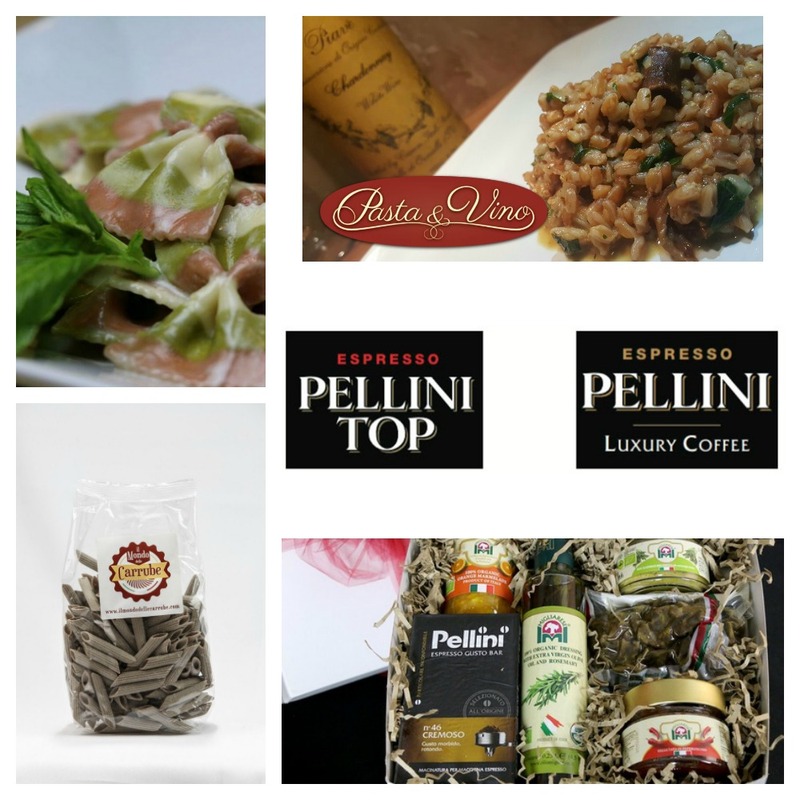 When shopping on Pasta and Vino, we want your entire shopping experience to be a luxurious experience where from the first click on the website to the first taste of one of our artisanal products, you are satisfied. But that satisfaction can only come when the food tastes good AND is good for you. Will Food Level Categories Change over time? Most definitely! As we continue the journey of studying each of our products and producers carefully, we are finding it easy to attribute a Green Level to a number of products. Some of those products will earn a Gold or even Platinum Level later but not until we are confident it meets our high standards. Regardless of which level is earned by a product, we are committed to your earning your confidence and will make available a brief report outlining the findings for each product. This, of course, will take some time with the number of products we have and we ask for your patience as we continue to innovate, educate, and welcome you into our family with the quintessential Italian experience. Visit www.pastaandvino.com for more information or to order products. Check out their blog at www.pastaandvino.com/blogs/news for authentic Italian recipes featuring their products and wine pairing suggestions.